Megan Miller behind the book table helping kids with books. Carol Womack drawing for a free kids’ Kindle. Lori Donahoe helping kids make bubbles. Hunter and Aiden Knox, twins in the Head Start program. The earlier you read to your child, the better most people feel. The local Community Action Organization Head Start/Early Head Start has been using this approach and making that idea readily available for the community. This is the 15th year CAO has held its “Laps for Literacy,” and this year, Carol Womack, Family and Community Engagement manager, said they added “Wellness of the Mind, Body and Soul.” This is an annual event that is done to promote literacy. The event was held at the Portsmouth City Schools high school track Friday. As families approached the track, they were greeted by many of the teachers and workers in the Head Start program, along with many tents and things for children and families to participate in. Megan Miller teaches Early Head Start in the Classroom at Portsmouth, and she was working at the table with the books. 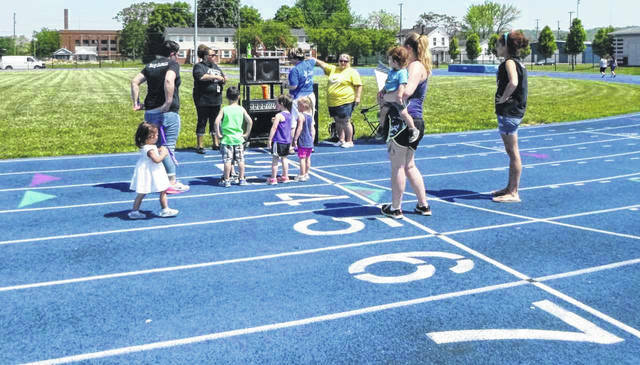 At this event, parents bring their children to the track. “The kids do one lap around the track, and for every lap they do, they get to pick out a new book for up to a total of five,” Miller said. She said there are others who are the home-based Early Head Start, with them all being at this event. 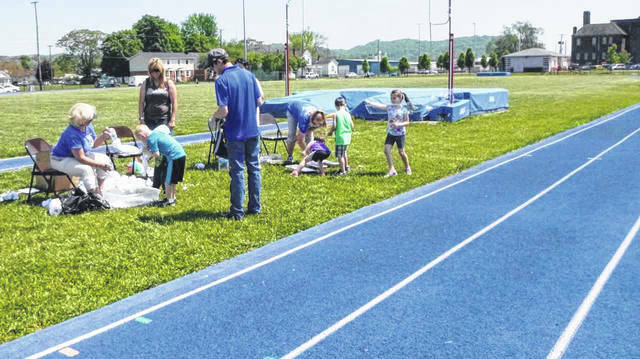 The event involved all the Head Start programs in Scioto County. Womack says that although they have had the “Laps for Literacy” for years, this year she wanted to add the wellness portion. Another person helping with the event was Vicki Seal, the teacher administrator for Miller Manor. She is the on-site teacher all day. In addition, Jimmy Parker, who is one of the foster grandparent members and works at the 14th Street Community Center, was on hand to give small pinwheels to the children. Western and Southern Life Insurance was at the event doing fingerprinting for all ages up to 18 years of age. The two women helping were Shellie Twinam and Ceci Sherman. “This is a free program that we provide to the community. If they would come up missing or kidnapped, this will hopefully get them back quicker,” Twinam said. All they needed was the parents’ permission to do the fingerprinting. Womack said they love having the fathers come out. “That’s another drive for this year, father engagement. We’ve been really pushing that, and one-fourth of our policy council is male,” she said. Education managers Kellie Campbell and Lisa Roof represented the Early Head Start program that covers prenatal to three years of age. Julie Lindamood is the mental health person in the Head Start program who does conscious discipline, which focuses on choices, according to Womack. Kimberlee Pack, Head Start and Early Head Start director for the county and city, said there are eight centers throughout the county. Policy Council person is Ciara Elswick. She said she was the chairperson for all the parents who are representatives of schools in the area. Elswick has three children of her own in the Head Start program. Carol Cooper from the Northwest Head Start program brought out hurdles for the kids to jump. Womack said all the Head Start and Early Head Start teachers and workers work for CAO, and Jon Simpson works in the Heap office. “We try to empower our families with all workforce from Heap, food pantry and senior meals, and they also have the weatherization program to identify where help is needed,” Simpson said. The day’s event even had a sunscreen station available. Also available were beads that change colors so that you see how long before reapplication of sunscreen is needed. Nurse Brenda also offered blood pressure readings, and the Scioto County Health Department and Shawnee Mental Health were giving out information. This is why Womack said they call the event “Wellness of the Mind, Body and Soul.” “We want to deal with everything and places where we aren’t well.” Womack also did the drawing for a kids’ Kinde during this day. Sue Schultz, who is on the ADAMSHS board’s crisis help line of hope, says they also administer the suicide prevention coalition for the county. There are 51 across the state. All in all, the Head Start and Early Head Start programs are truly looking out for even the youngest of the area, and wanting to help families by promoting literacy and health. 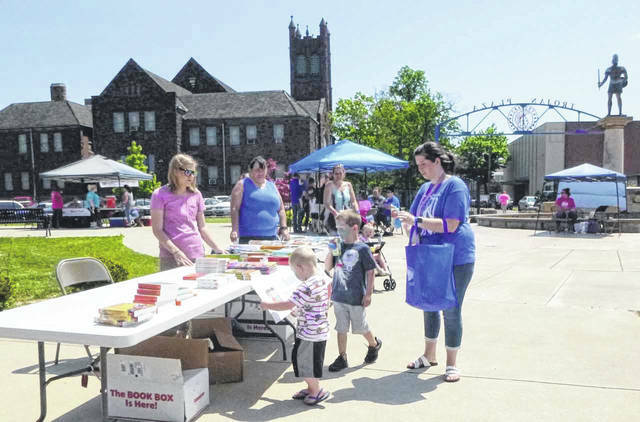 https://www.portsmouth-dailytimes.com/wp-content/uploads/sites/28/2018/05/web1_SUN1_ne2018513101427905.jpgMegan Miller behind the book table helping kids with books. https://www.portsmouth-dailytimes.com/wp-content/uploads/sites/28/2018/05/web1_SUN2_ne2018513101434284.jpgCarol Womack drawing for a free kids’ Kindle. https://www.portsmouth-dailytimes.com/wp-content/uploads/sites/28/2018/05/web1_SUN3_ne2018513101444198.jpgLori Donahoe helping kids make bubbles. 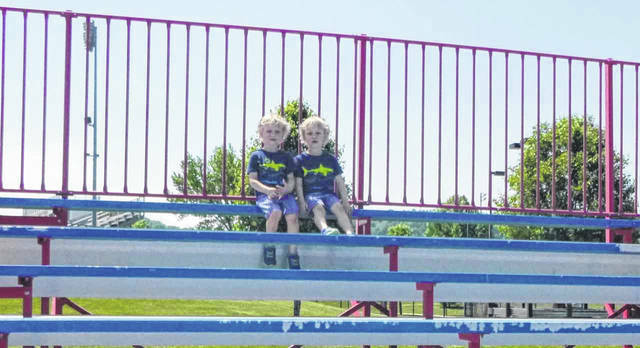 https://www.portsmouth-dailytimes.com/wp-content/uploads/sites/28/2018/05/web1_SUN4_ne201851310145179.jpgHunter and Aiden Knox, twins in the Head Start program.